In this interview, Marco Versiani discusses how he uses micro-CT in dentistry for the Root Canal Anatomy Project. In this interview, Dr. Michelle Peace provides an introduction to her research into the use of e-cigarettes for the inhalation of illicit drugs. 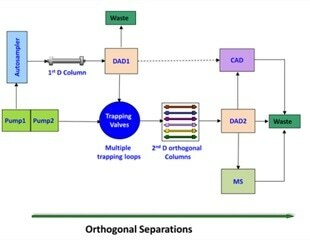 In this interview, Michael Dong discusses stability-indicating methods such as UHPLC, in pharmaceutical analysis. At Pittcon, Michael will introduce a 3-pronged template approach to HPLC method development. In this interview, Judy MacInnis from Cape Breton university, explains the importance of giving students hands-on EPR experience during in their studies. In this interview, Dr. Polinski and Dr. Atabakhsh discuss the importance of developing biomarkers for Parkinson’s and the partnership between MJFF and Abcam. An interview with Dr. Eshan Mitra, discussing the importance of computer models in biology and the development of a more accurate model of the RAF phosphorylation pathway. This interview with CEO of Sweetwater Labs, Jim Gawenis, explores the increasing importance of NMR in the detection of honey fraud. Dr. Paul Tesar from the Tesar Laboratory at Case Western University, Ohio, discusses the importance of organoids in biological research and the development of organoids which are capable of simulating the early stages of human myelin. Dr. Keiichiro Suzuki discusses the importance of IgA in the human body, and his recent research study, which showed that IgA interacts with the gut microbiome and promotes the growth of healthy bacteria. At St. John's, we are building an innovation center in pharmaceutical technology. We are involved with double upping new drug delivery systems, as well as a new processing agreement. In addition, we are focussing on personalized medications.